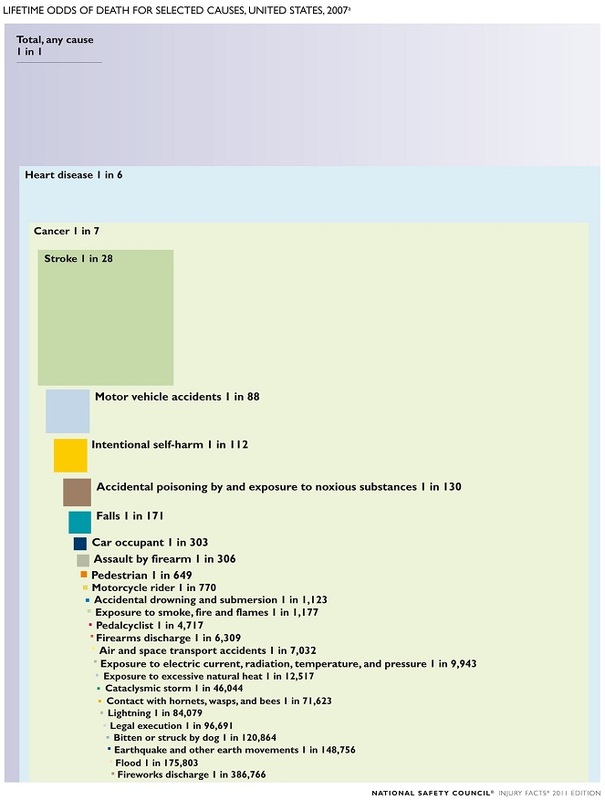 Interestingly, you seem to be far more likely to die by your own hand or by falling off your bike than in an air transport accident. At least, you were in 2007 which is the latest freely available numbers. It would seem you are about five times more likely to die in a car or on a motorbike that in any other mode of transportation. Furthermore, the seasonal patters show what might be expected: more drownings in summer than in winter and vice versa for death in fires. 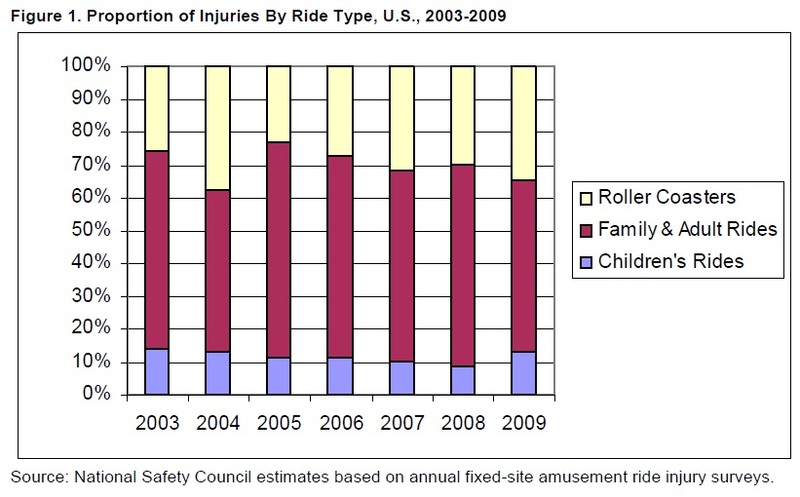 As a small treat at the end, here are the statistics for injuries in amusement parks (from 2010). At the latest recording, 4,4 in every million visitor were injured, which bodes well for the holidays. See also my Great "Death Bys".